On the day before Easter in 1911, Don Hewes (Fred Astaire) is crushed when his dancing partner and girlfriend (Ann Miller) refuses to start a new contract with him. 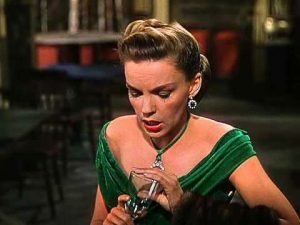 To prove that he doesn’t need Nadine, Don acquires a new, innocent protegee named Hannah Brown (Judy Garland). He vows to make her a star in time for next year’s Easter Parade. Don Hewes (Fred Astaire) is devastated when his longtime dancing partner, Nadine Hale (Ann Miller), breaks up the team to set out on her own. Determined to prove that he can succeed without her, Astaire vows that he can pick any random chorus girl and make her a star. Fortunately for him, the chorus girl he picks happens to be one of the greatest entertainers of the 20th century, Judy Garland (playing Hannah Brown). 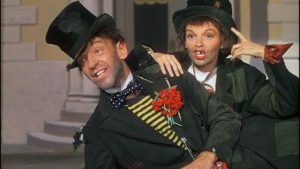 Easter Parade turned out to be the first and only collaboration between the two screen legends. Garland made the 1948 film despite ongoing health problems then had to pull out of a planned follow-up, The Barkleys of Broadway (Ginger Rogers replaced her); Astaire had retired following Blue Skies in 1946 but was brought in for this film as an emergency replacement after Gene Kelly broke his ankle playing touch football. How Could You Believe Me When I Said I Loved You, When You Know I’ve Been a Liar All My Life?